The Inland Port Authority is working to create a strategic plan for the Northwest Quadrant of Salt Lake City—and that plan starts with your input! The public forums listed below are open for anyone—please come learn about the inland port, why it’s happening, and what the development could look like. 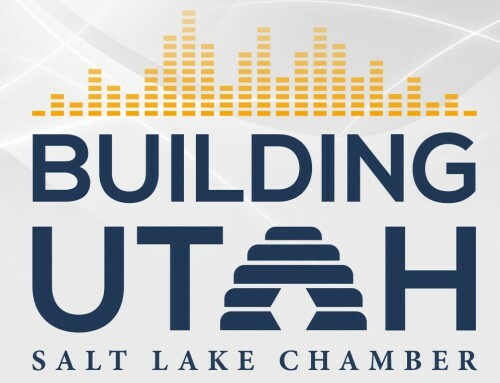 Attendees will also have the opportunity to speak with the Inland Port Authority and Envision Utah staff to express thoughts, concerns, and ideas for the Northwest Quadrant. Note: These forums will be the same in format and content, so please choose whichever time works best for your schedule. Tuesday, February 19th | 6-8 p.m.
Thursday, February 28th | 6-8 p.m. In addition to the public forums, we’ve recently released a survey to gather more public input. Please take the survey and share it with your friends, family, and everyone you know! Take the survey. The proposed Utah Inland Port is a logistics and distribution hub that would create a shipping expressway between West Coast ports and the Intermountain West, connecting Utah businesses to global markets. The port will benefit our local economy, providing quality jobs and increased prosperity for a rapidly growing population. The proposed site for the Utah Inland Port, the Northwest Quadrant of Salt Lake County, is positioned at the intersection of two interstate freeways, major national railways, and an international airport—and that means a high demand for expanding warehouses, distribution, and manufacturing needs. This development is already happening, and the Utah Inland Port provides an opportunity to harness the growth to maximize its economic benefits to Utahns while maintaining a high quality of life throughout the area. The Utah Inland Port is a landmark opportunity for Utah, but it’s going to take collaboration and foresight from all of us to maximize the benefits and address the challenges the already-happening development could present. Please attend the public forums to give your input on how you think the port should be developed. With your help, we can work together to ensure that the port benefits our prosperity and quality of life—both now and in the future. How is this port going to affect the ecology around the lake. And what is this going to do to our already poor air quality or how about the health of the communities that are going to be around this port. Who is going to pay for this development, and who gets to benefit from all the “global economic growth”. What jobs other then low paying industrial jobs would come from this? Where’s the impact study? In the 45 years I’ve lived in the Salt Lake city area, I’ve seen it grow from a delightful small city with a wonderful setting to a crowded, noisy big city with lots of pollution and very little green space left. I view the grandiose plans for the Inland Port as a new way to increase the unpleasantness of this valley and the polluted air as well as another way for the very wealthy to increase their wealth on the backs of the poor and middle-class. A lot more transparency is needed to see who pays for it, who gets rich from it, and what the true impacts will be for the overcrowded freeways, the dirty air, the wildlife in the projected space and the already oversize population. Once the damage is done, it can’t be undone, for no one in public office or the corporations would ever take responsibility for the destruction.